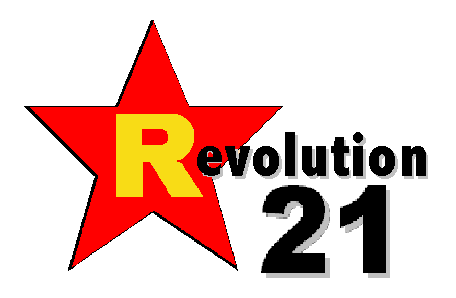 Revolution 21's Blog for the People: Oh, they built the ship Titanic. . . . So, Scoop, what do you think the chances are that we come out of this iceberg field alive? Why not, Scoop? I mean, we're underway at 25 knots and, from what I can see through my opera glasses here, there's an iceberg dead ahead. Guv'na, this 'ere crew on the S.S. Titanic are not allowed to speculate about icebergs and our chances of 'ittin' one and drownin' 'ere in the bloody North Atlantic. It would impugn the very notion of our objectivity as crew. Uh, Scoop . . . I wouldn't be worrying my little head about notions and appearances right now with that iceberg dead ahead. Shouldn't you be worrying about the real and present danger? Listen, mate! Them bleedin' icebergs will take care o' theyselves! 'Aven't you 'eard? The Titanic is bloody unsinkable! If I was allowed to prognosticate -- which I ain't, mind you -- you would be owing me a snifterful in New York. But, Scoop! LOOK OU. . . . FLASH FORWARD 97 YEARS . 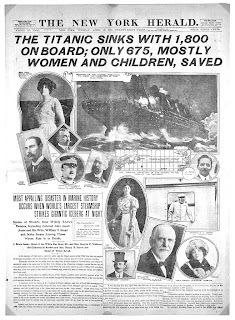 . . to the bridge of the unsinkable S.S. Denver Post, cruising full steam ahead on a journey into the mainstream-media future as the flagship of the White Elephant Line. So, Westword would like you to sit right back, and you'll hear a tale -- a tale of a fateful trip. . . . The dictate went public Friday afternoon, when Broncos writer Mike Klis appeared on Mile High Sports Radio, at 1510 AM, with hosts Nate Kreckman and Joel Klatt, who hooted at the very idea of a prognostication ban. When Klatt and Kreckman asked Klis if he thought the Broncos could defeat the Ravens in Baltimore on Sunday (which, unfortunately, they couldn't -- or at least didn't), the Post staffer explained that his supervisors had concluded that offering picks about a team beat writers are supposed to cover in an even-handed way potentially undermined their objectivity in the eyes of readers. Klis added that the change had been instituted after the San Diego game, when pretty much everyone who weighed in foresaw a Chargers victory (instead, the Broncos won). What was the real motivations for eliminating predictions? And did readers upset that none of the writers had confidence in the Broncos have any impact? Not according to [Post Editor Greg] Moore, corresponding by e-mail, who says, "It is an ethical move. Sports writers are no different than other news-beat reporters. We would not have political reporters picking sides in a political contest. "We did not get a single complaint from outside," Moore continues, "but I did look at the predictions before the San Diego game. Obviously, I had seen these for years. And it occurred to me that it must be making it hard for news reporters, especially when they pick against the team they cover. In an equal vein, these beat reporters don't want to seem like homers, always picking the Broncos. The more I thought about it, the more it seemed an unreasonable position to put these reporters in." 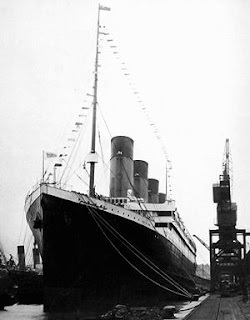 I'LL BET THE instruments of the ship's band of the S.S. Titanic were spotless -- and the musician's ability to play "Nearer My God to Thee" untainted by personal bias -- as the unsinkable ocean liner slipped beneath the waves and into the depths of the deep, blue sea.